Egg frittata recipe is a delicious egg recipe for brunch or a quick weeknight dinner. 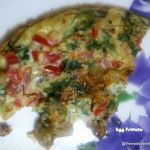 For a normal household also Egg frittata is a great recipe especially since the filling can be leftovers anything from veggies, potatoes, rice. I have also used one leftover chapatti minced in the mixer. Seafood, chicken, cheeses also taste good. In case, you are using leftovers add them directly to the beaten eggs. The liquid used can be anything from milk or broth. Gravies I am not sure but I suppose they can be used and then there will be a lot of adjustments in cooking times. As my daughter has moved to Bangalore this week, I have posted egg recipes for her to use. This will give her the protein fix she will need. Since she eats many salads, I am not worried. I am in no mood to take pictures for this post will update them later. A filling and delicious Egg Frittata. Spread oil on a non-stick pan then heat it. Add the onions and mushrooms a pinch of salt. Cook until the mushrooms soften a bit on medium flame. Stir occasionally. Meanwhile in a big bowl beat the eggs, milk, oregano, and sage, salt and pepper, chilli powder until blended. Spread the mushroom and onion mixture evenly on the pan and add the egg mixture. Sprinkle the tomatoes, green chillies and the coriander leaves. Cook on low heat until the eggs are set. (About 10 minutes). You can try flipping it or stand the eggs covered for another 10 minutes. I have flipped it. This surely is a wonderful protein packed meal!..enjoyed all your dishes.. I had read about Fritata while we did the international BM , ever since I am working on an Eggless version , tried it a couple of times , yet to figure out a perfect recipe . This Protein Rich month has flown by , great recipes . 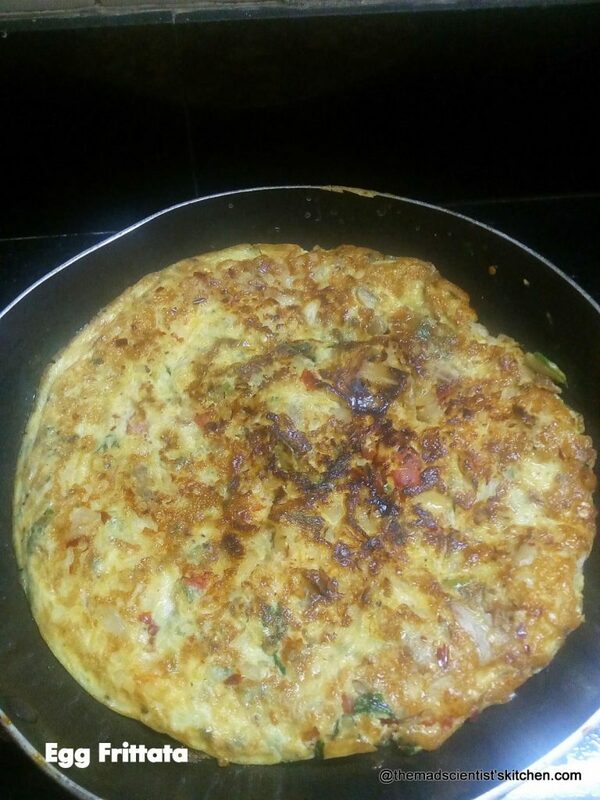 Just cant resist to this frittata, i can have it happily with some grilled bread slices rite now. Enjoyed all your protein dishes to the core. 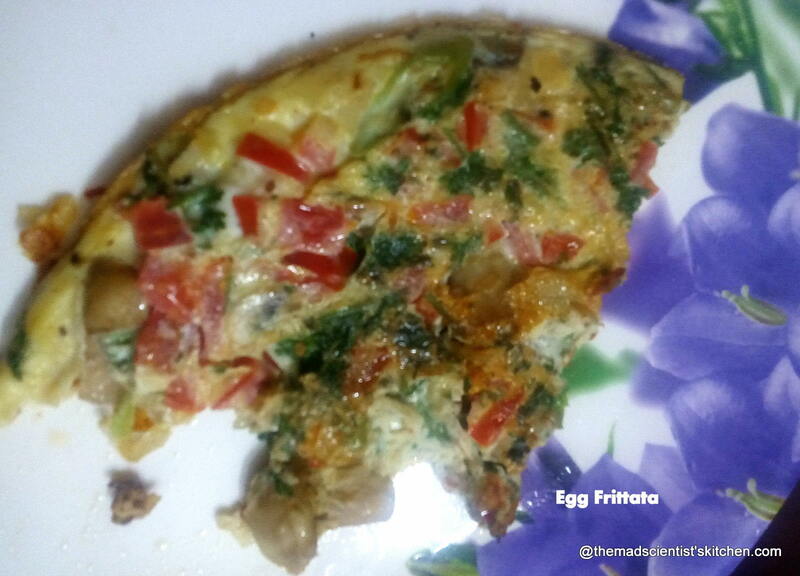 Such a tempting frittata.. it has got so many reasons to be healthy..
Frittata is one filling and tasty dish. Healthy and comforting. Vaandu loves frittata and mostly bake it with cheese also. This is such a great for this protein rich series. Its definitely a weekend dinner at my place with any veggies in it. Sometimes I add left over veggies too and it makes an interesting flavored frittata. Yes a protein packed light dinner. Loved all your recipes in this series.